Cancer survivor and inspirational singer, Charlie Lustman, brings his one man pop opera, MADE ME NUCLEAR, off-Broadway!!! All proceeds benefiting SHARE cancer care. 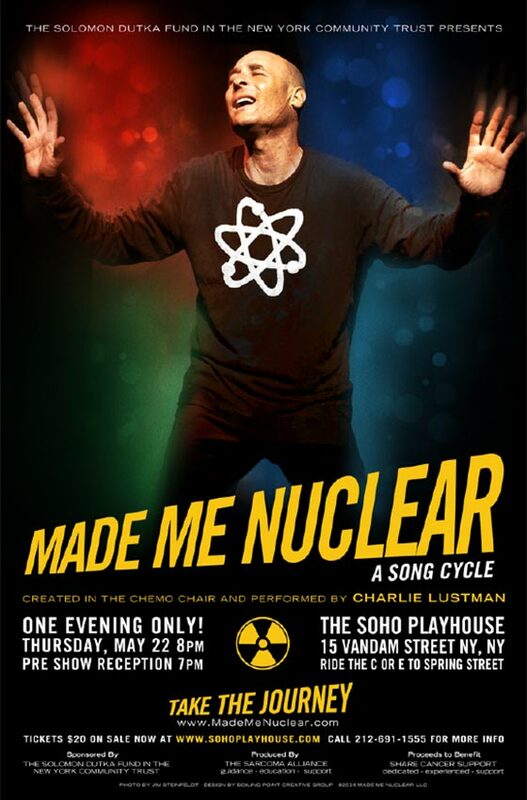 Share the post "Made Me Nuclear at the Soho Playhouse in NYC"